THE achievements of the most decorated player in the history of the Fermanagh and Western was again recognised when he became the first player to be inducted into the league’s Hall of Fame. The Fermanagh and Western Hall of Fame was initiated seven years ago to recognise administrators and officials who had put something back into the local game but on Friday evening, former Enniskillen Rangers legend Joe Keenan was the first player to be honoured. 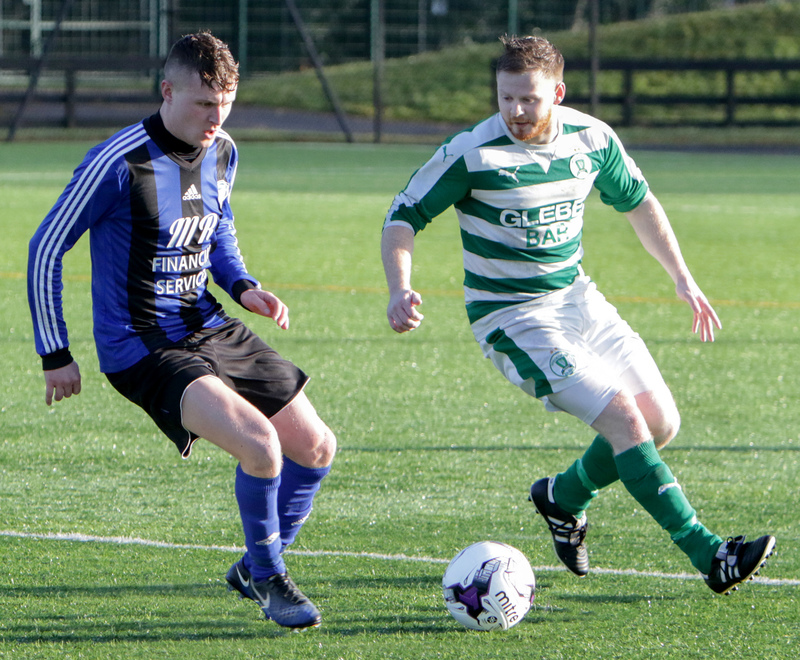 It’s the second time that Keenan – who has won six Mercer Leagues, seven Mulhern Cups and an Irish Junior Cup amongst a host of others successes – has had his glittering playing career spanning some 40 years recognised by the league’s governing body. Back at the league’s centenary celebrations in 2007, Keenan was named in the Team of the Century and went on to secure the highest accolade of Player of the Century. Keenan was given a standing oviation when he was presented with his award, a fitting gesture to one of the game’s greats who was joined on the night by family, friends, rivals and many of his old Enniskillen Rangers team-mates. In this week’s Ulster Herald Bootroom Keenan, who also managed Enniskillen Rangers and Enniskillen Santos, said he was very proud to again be honoured by the Fermanagh and Western. “I was a very proud, proud man on Friday night and having my family and friends there made it very special indeed,” he said. Three Merit awards were also presented on the night to former Strathroy Harps manager and player Seamus Fanthorpe, Lisbellaw United stalwart Kenny Forde and John Crawford, who filled a number of key roles including manager and chairman of Dunbreen Rovers over 50 years. As a young player Crawford helped Rovers to Mulhern Cup glory in 1968 but injury ended his playing a career. John moved into management a decade later and managed the Rovers first team for over 20 years during two spells in charge. Like Crawford, Forde has been a one-club man over a similar period of time and while he never played has served the club loyally in many different guises from marking pitches, cutting grass, acting as kit man to managing the club’s reserves who he led to Reihill Cup glory and league success. Kenny is a valued member of the Lisbellaw committee and played a prominent role in securing a 99-year lease on Drumad in 1985 as well as helping to raise £90, 000 for the construction of a clubhouse in the early nineties. The final Merit recipient was Seamus Fanthorpe, who after a distinguished playing a career, took the reins at Strathroy Harps to transform the fortunes of the Omagh club into one of the major forces in the junior game. In seven seasons Fanthorpe guided Harps a total of 12 trophies which included back-to-back Junior Cup success in 2012 and 2013 and a clean sweep of Fermanagh and Western honours last season before calling it a day. He has become the youngest recipient of a Merit award.